If you’ve been reading our articles/blogs for the last year or so, you know that a well organized closet is an absolute necessity in a busy home. Choosing from beautiful wood grains to materials such as high gloss and texture, your closet can be not only stunning to look at but also practical. Accessories to your closet can further make your life easier and faster when time is short and you want to look your best. To start with, a valet rods is a great invention. Valet rods, either in metal, plastic or a combination there of, are a great way to set out your clothes and do that mix and match thing. Not overly expensive, valet rods usually slide back into the closet when not in use and there fore not an impedance to getting around your closet. As for myself, I love the various hangers that are available as well for particular clothing items. Tie hangers, scarf hangers, belt hangers are some of the hangers that help organize these particulars. 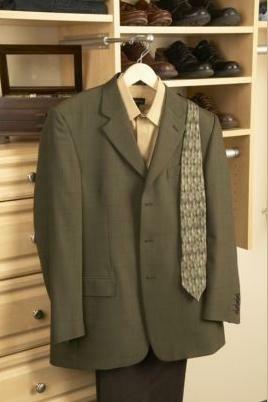 In the same vein, ask any man and he’ll tell you a tie hanger or tie valet is an absolute must for organizing ties. As you know, most men usually get a tie sometime during the year as a gift. They start to add up considerably over the years. A tie hanger or tie valet is helpful to keep the ties from ending up on the floor in a jumble. Not sure if you’ve seen them before or not, by you can get pull out racks for your pants. Neat and tidy, these pull-out holders for pants take up a lot of room but as you can see from the photo I’ve included they too are a great asset too. In a previous article, we have mentioned about safes. They are a great way to protect your valuables and yet have access to them while you’re dressed for that important event. To aid in dressing, what a good closet should accomplish, why not consider a few other accessories. Another accessory that is handy is laundry hamper. Either concealed behind a bank of faux drawers or out in plane sight, laundry hampers are a great way to get your week’s laundry gathered in a jiffy! 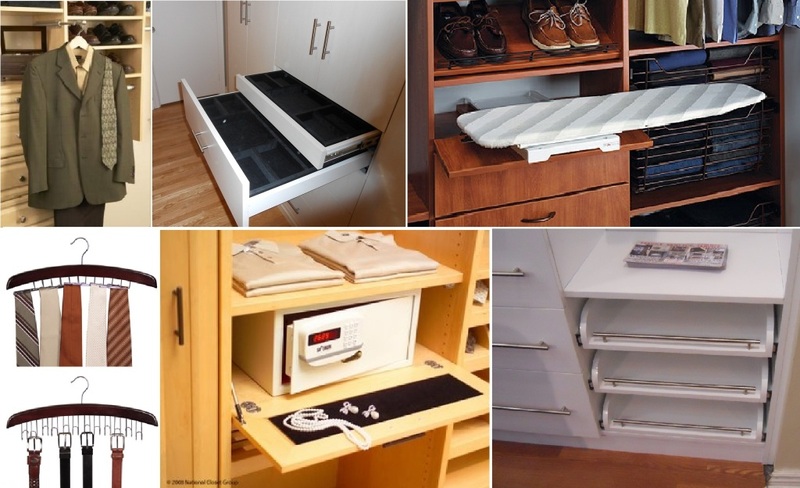 Either way you conceive it, closet accessories are a fantastic way of customizing your closet even further. There is nothing nicer than an organized closet and a happy customer. When you’re ready for our expertise, call us at Space Age Closets and Custom Cabinetry.